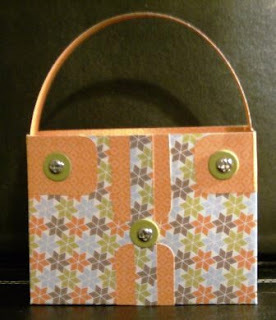 Found this nifty card caddy template on another blog and wanted to give it a try. Uber cute and a cinch to make - my favourite combination!! The caddy is designed to hold 5 cards and envelopes, I used a leftover piece of the DP for the handle instead of ribbon...so I used on piece of 12x12 DP to make the caddy.